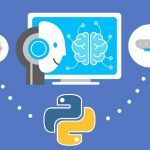 NumPy – NumPy is a library used in Python used for Scientific Computing. SciPy – SciPy is a library that is used for mathematical functions. 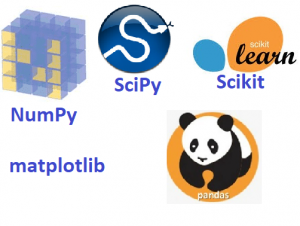 SciPy comes with modules for various commonly used tasks in scientific programming, including linear algebra, integration (calculus), ordinary differential equation solving and signal processing. Matplotlib – Matplotlib is a library used for plotting interactive 2D and 3D plots that can also be saved as manuscript-quality figures. 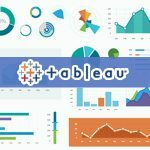 Pandas- Pandas is a library which provides many useful functions for accessing, indexing, merging and grouping data easily. TensorFlow- TensorFlow is machine learning framework that Google created and used to design, build, and train deep learning models.